When patients want to have a tattoo removed, their first concern is often how long the process will take. There’s no way to remove a tattoo in just one office visit other than via excision, which is reserved for the smallest of tattoos and doesn’t work in many areas, but luckily, there is a way to speed up the process from about a year to just a few months. In this blog post, Joel Schlessinger MD discusses stacked tattoo removal and how this procedure works. Stacked tattoo removal allows for several sessions of tattoo removal in just one sitting, Joel Schlessinger MD shares. Since the 1960s, cosmetic surgeons have used lasers to remove unwanted tattoos. With early laser technologies, the results were not always ideal. The tattoos were difficult to remove and often left behind some scarring. 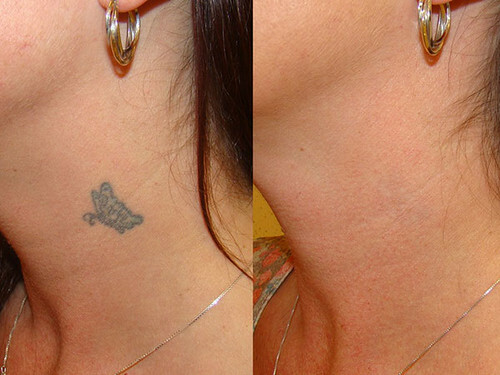 Today’s lasers do a much better job of removing the pigment in tattoos. Even if the tattoo cannot be completely removed, many times it can be diminished or significantly lightened. Stacked tattoo removal is a recent advancement that has made the removal process much quicker and easier for most patients. The stacked treatment offers the ability to perform four sessions in just one sitting. During this treatment, the doctor uses the same basic laser settings and each session is separated by approximately 20 minutes. This can shorten treatment time from a year or more to several months in many cases. However, it’s important to remember that not all tattoos respond to the same treatment. Many cosmetic surgeons prefer to perform one single session first to make sure the pigments in the tattoo are responsive to treatment and there are no adverse reactions. Once your doctor knows how your tattoo will respond, he or she will be able to determine the best treatment plan to meet your needs. Joel Schlessinger MD discusses how the tattoo removal process works. Tattoo ink is made up of tiny particles that are placed into the skin with a needle. 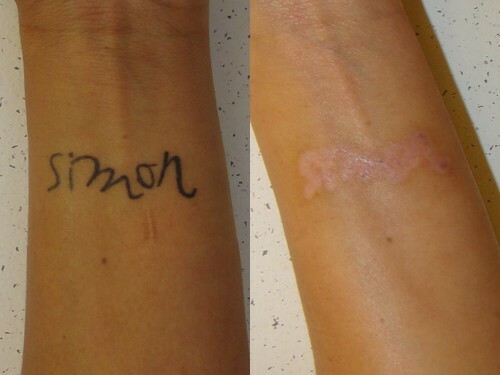 The tattoo removal laser works by delivering an intense pulse of light into the skin. When the color of the light matches the color of the ink, the ink heats up and vaporizes the particles. As these particles become smaller, they absorb into your body. Some tattoos are easier to remove than others. Black, brown and blue inks are usually easier to remove while lighter colors like green, yellow, white, orange or purple can be more difficult. Generally, the ideal tattoo for removal should be no bigger than five inches in length and width. It’s possible to remove tattoos that are larger than this, but the area will need to be separated in to smaller sections and treated over a longer period of time. Choose a board-certified cosmetic surgeon like Joel Schlessinger MD to remove your tattoo. When you’ve decided you want to remove a tattoo, it’s important to seek treatment from a board-certified professional to avoid skin damage or other complications. Your cosmetic surgeon should be able to tell you what kind of results you can expect prior to any treatment. Because each tattoo responds differently, the professional you choose should also be comfortable working with various types of lasers. Joel Schlessinger MD has been treating unwanted tattoos at his practice in Omaha, Neb. since 1997. He has three different lasers available to use, allowing him to treat a variety of colors and tattoo patterns that are usually difficult to treat. Before your procedure, he can answer any questions you might have, including how approximately many treatments you might need, if your tattoo will respond to treatment and what results you can expect. Do you have questions about tattoo removal for Joel Schlessinger MD? Share with us in the comments. Over the years, several studies have focused on the risks of tattoos, including the safety and sterility of the facility. A recent review in The Lancet looked at these health and safety concerns and found that one to five percent of people with tattoos contract bacterial infections, while others have an allergic reaction to the ink. In this blog post, Dr. Joel Schlessinger discusses these risks and why it’s best to think twice before permanently inking your skin. Tattoo ink is not currently regulated by the Food and Drug Administration, which puts consumers at risk, Dr. Joel Schlessinger explains. In many countries, tattoos are classified as cosmetics. While the skin’s barrier keeps topical cosmetics out of the body, tattoo ink is injected into living tissue. This is why many dermatologists and skin care professionals believe tattoos should be classified in a separate category. Tattoo parlors are currently regulated by each state and training requirements for artists vary widely. Contaminated ink could lead to bacterial and viral infections, Dr. Joel Schlessinger says. Much like the parlors and artists, tattoo ink is also fairly unregulated. There is no standard in place for ink ingredients. Most tattoo inks contain organic pigments, but some also contain dangerous preservatives, as well as contaminants like nickel, lead and arsenic. These additives can trigger infections and allergic reactions, especially in those with sensitive skin. As a board-certified dermatologist and cosmetic surgeon, Dr. Joel Schlessinger has seen many patients with infections and other complications after getting a tattoo. Dr. Joel Schlessinger also stresses the importance of seeing your dermatologist if you have any concerns. Experts believe the majority of tattoo complications go unreported and this further contributes to the problem. “If you have a tattoo and are worried it may be infected, go to your dermatologist for an evaluation as it is best to treat it early,” Dr. Joel Schlessinger says. Do you have a question about tattoos for Dr. Joel Schlessinger? Share with us in the comments. It is estimated that around 40% of adults have at least one tattoo, so it is no surprise that a tattoo removal cream would be in high demand. Alec Falkenham, a PhD student in pathology at Dalhousie University in Halifax, Nova Scotia, is currently developing a topical cream that he hopes will eventually remove tattoos. However, Dr. Schlessinger believes it is too early to tell if this cream will be effective. Bisphosophonate liposomal tattoo removal cream works by expediting the natural tattoo fading process. When a tattoo is received into the skin, the ink pigments get eaten by macrophages, or white blood cells, to protect the surrounding tissue from the foreign substance. The cells then form the tattoo that is visible on the skin, and as macrophages are replaced over time, the tattoo fades. Falkenham’s cream targets macrophages with bisphosphonate to expedite the natural fading process. Inspired by the connection between his pathology work and the tattooing process, Falkenham set to work creating the method for what he refers to as bisphosphonate liposomal tattoo removal. This technique allows the bisphosphonate drug to reach into the skin via a topical cream, eliminating the cells that contain tattoo pigment while leaving other skin cells untouched. “There are many hurdles for this scientist to go through,“ Dr. Schlessinger says. Dr. Schlessinger finds the idea of bisphosphonate liposomal tattoo removal intriguing, but cautions that those with tattoo regret not get too excited just yet. So far, research is still in its earliest stages, and studies have only been conducted using mice. Among the challenges are getting the bisphosphonate to actually penetrate the skin and testing the cream through what will probably amount to millions of dollars in clinical research. “There is a lot of interest in this topic, but the future of the project and the cost estimates are unclear,“ says Dr. Schlessinger. For now, he recommends that those considering a new tattoo carefully weigh that decision, and that those with tattoo regret seek a skilled, experienced dermatologist who can help them achieve their best laser tattoo removal results. Do you have a question for Dr. Joel Schlessinger about tattoo removal? Let us know in the comments section. If you’ve been debating tattoo removal, take a look at this great video highlighting the procedure. While tattoo removal has been around for many years, treatments have become much more successful according to Dr. Joel Schlessinger. During this informational video, you get to see a patient’s beginning and end results as well as how the laser works. Dr. Joel Schlessinger explains that while this specific patient experienced impressive results, not all treatments will turn out the same. The effectiveness of a procedure depends on a variety of factors from ink color to size and tattoo placement. If you’re interested in tattoo removal, set up a consultation with Dr. Joel Schlessinger and Skin Specialists PC today. 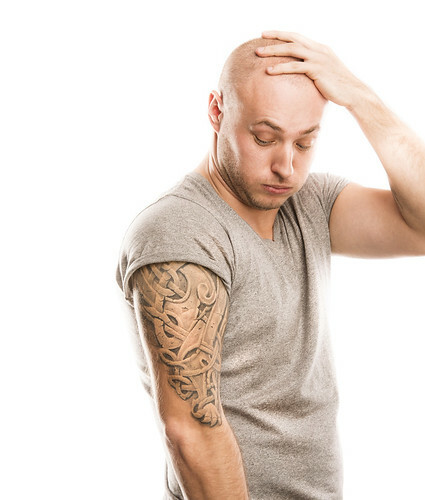 Tattoos can be removed, but the process can be more complicated than you might imagine. It’s important to consult with a skilled dermatologist and cosmetic surgeon like Dr. Joel Schlessinger to determine the best way to remove your tattoos and what results to expect. The picture above of a recent patient is an excellent example of the technology and treatments that Dr. Joel Schlessinger can use to remove unwanted tattoos. The patient, a 41-year-old woman, had the name of her husband put on her wrist. She now finds that it interferes with her professional job and came to see Dr. Joel Schlessinger to get it removed. This result was after 5 laser treatments, at a cost of approximately $200 a treatment. Cost for removal varies according to the size, location, and quality of the tattoo. Tattoo removal often depends more on the color of the tattoo rather than on the design and size. As the U.S. Food and Drug Administration (FDA) reports, complete tattoo removal without scarring may be impossible. At-home remedies can be unsafe and are invariably ineffective. Tattoo removal at home is unlikely to lead to complete removal of the ink and may cause burns or other unwanted skin damage. Remedies such as creams or bleaching agents found on the Internet are ineffective and can cause more damage than help. As an additional caution for people considering getting a tattoo: the U.S. Department of Health and Human Services has reported a new type of bacteria that has caused infections in people getting tattoos. The U.S. Centers for Disease Control and Prevention discovered that the infection came from bacteria found in tap water used to dilute the tattoo ink. It’s best to consult with a specialist to examine your needs and decide on the best course of tattoo removal. Skin Specialists, under the guidance of board-certified dermatologist and board-certified dermatologic cosmetic surgeon Dr. Joel Schlessinger, offers award-winning consultation and treatment for tattoo removal. For more information, contact Skin Specialists toll-free at 1-800-364-7583. What tattoo do you have that you’d like removed?